April 22nd in WordPress Themes by Wordpress Jedi . So you love baking and selling your own cakes and other goodies? You are going to need an attractive site to grab the attention of potential customers. Patistry can help. 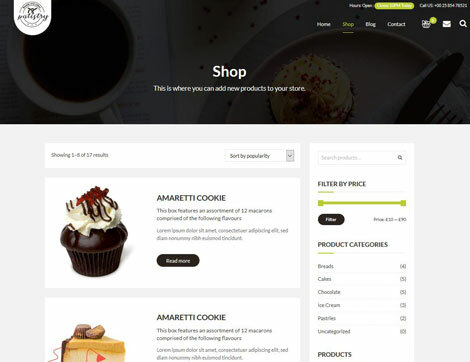 It is a paid theme with 3 homepage variations, Visual Composer integration, and WooCommerce support. This responsive theme is coded in HTML5 and CSS3. April 16th in WordPress Themes by Wordpress Jedi . Elementor is one of the most handy drag & drop page builders around. It lets you create sophisticated layouts without having to do a whole lot of coding. There are also plenty of themes built for it. Intelity is an Elementor theme for IT courses. It comes with everything you need to build and customize your own tech education site. April 13th in Theme Lists by Wordpress Jedi . 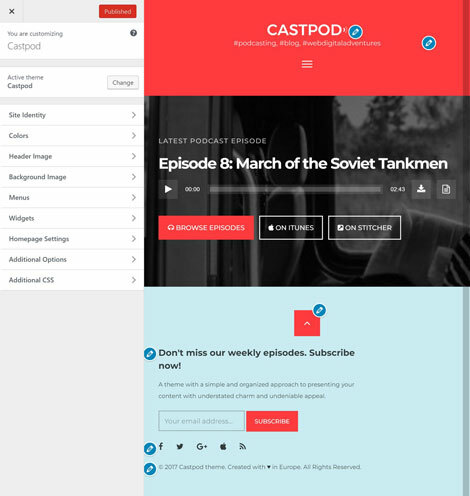 April 11th in WordPress Themes by Wordpress Jedi . Podcasts are becoming more popular every year. 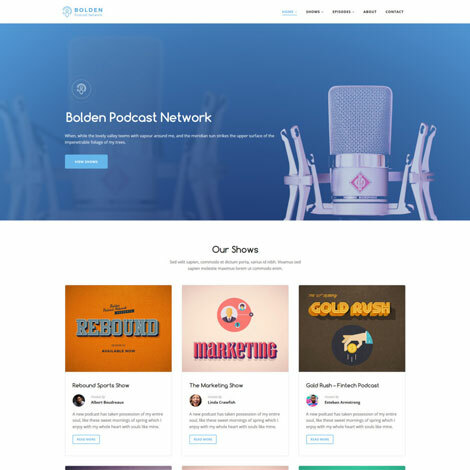 You don’t need to spend a fortune to start your own podcast program. You will need a website to promote it though. 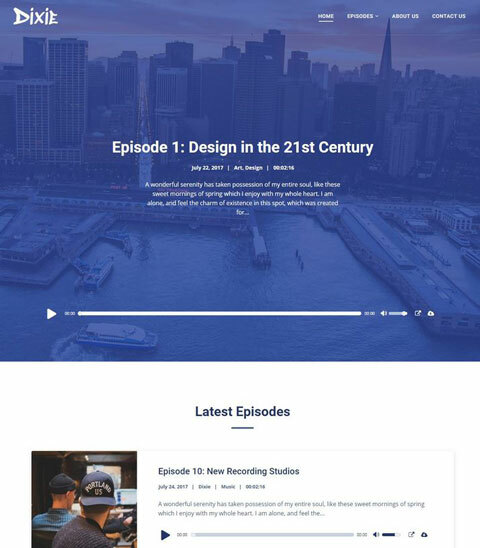 Dixie is an attractive WordPress theme for podcast programs. It has an audio player and multiple layouts. Webmasters can customize layouts, colors, and content with Elementor. April 3rd in Viral, WordPress Themes by Wordpress Jedi . Every business needs to have a professionally designed online presence these days. That applies to those of you who focus on producing audio content for your fans. 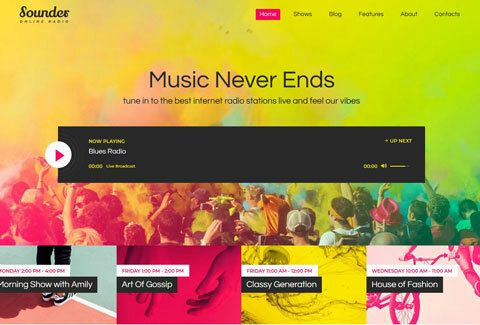 Sounder is an attractive theme designed for online radio stations, music bands, and entertainment sites. It has 3 homepage layouts and comes bundled with WPBakery page builder, Essential Grid, and other plugins to help you get started faster. March 30th in WordPress Themes by Wordpress Jedi . We all need decent web hosts to bring our sites online and offer our readers a smooth, fast browsing experience. If you are in this business, you need to have a professional online presence to impress potential customers. 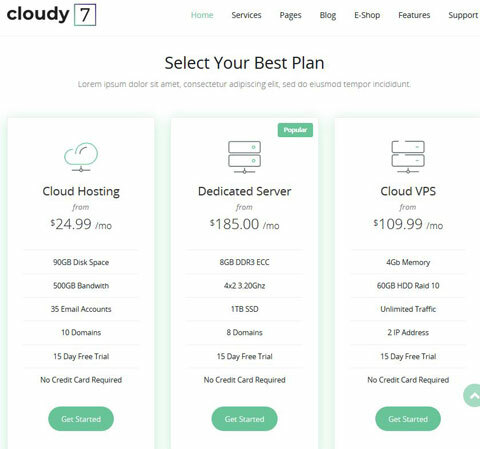 Cloudy 7 is one of many hosting themes you can pick up to give your website a professional makeover. Cloudy 7 is built with WPBakery pagebuilder.